Rule. 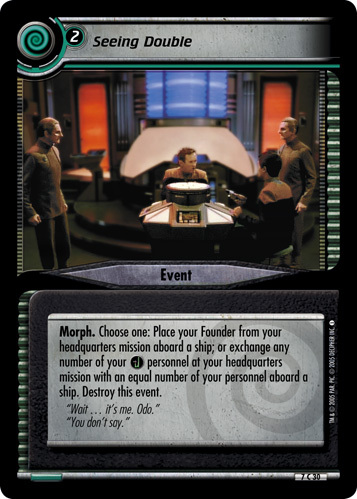 To play this event, you must command three personnel. 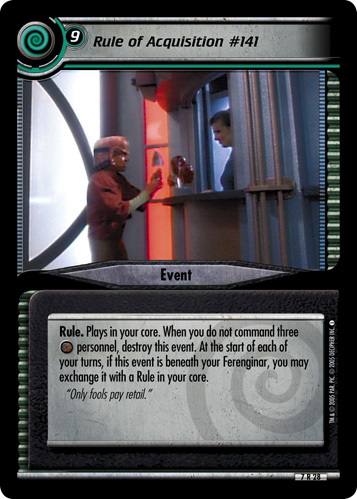 Plays in your core. 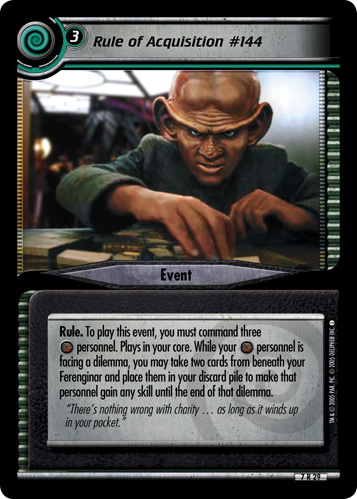 When your personnel is facing a dilemma, you may take two cards from beneath your Ferenginar and place them in your discard pile to make that personnel gain any skill until the end of that dilemma. "There's nothing wrong with charity ... as long as it winds up in your pocket."